Electronic Locks; Never Need Keys Again. If you are like me keeping track of my house keys is almost next to impossible, so many nights I arrive home after a long day of work only to realize I do not have my keys with me. Did I leave them at the office? Are the still in my car, or even worse did I never bring them with me in the first place and they are still sitting safely inside my home. Since I have been down this road quite a few times before I have strategically placed spare keys with my neighbors, in my mailbox and yes even under my welcome mat. All of these are big no no's when it comes to home security but I was sick and tried of going into my van to pick open my own lock. It was not until a few months ago that I made the best decision ever and upgraded my locks to electronic locks. These gifts to forgetful people like myself make life so much easier. Now when I arrive home and can not find my keys I no longer need to worry, I simply input my code into the door and voila open says me! The possiblitlies of electronic locks are endless, maybe you want to input a code like I do into a lock like this. A simple pin number that YOU WILL NOT FORGET is all you need and you will never be locked out again. 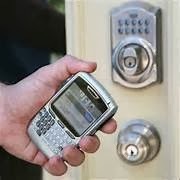 This type of lock also makes it much easier to give access to your home to your in-laws, neighbors or house sitter. No more making copies of keys you can give each person their own pin code or share the one you created. Or you can even take it one step further and use your fingerprint to gain access into your home. with a biometric lock like this. With this type of lock you can also give access to whom you want but you will need to add in their fingerprint into the database where as with the lock above you can create the code and tell it to them no need to have everyone over your house at the same time. 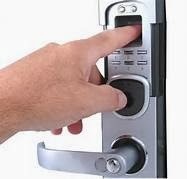 If that is not high tech enough for you, there is one more step up which is the locks controlled by your smart phone. a simple push of a button on your phone and you can open up your entire home. These types of locks just like the others above allow you to give access to other people as well and even keep track of when the come and go from the home. This lock is not just a lock for your door this system allows you to add your thermostat and even light system into the app so you can control the temperature and electric usage inside your home while sitting at work. A few cable providers offer this service in the area to learn more contact our customer service department to see if we can add this convenience to your life. When is the last time you opened your vehicle doors the old fashioned way? You know sticking the key in the door lock and turning it, if you are like me the answer is probably never. either inside the key or separately that operates the doors, alarm and trunk. And since it adds such ease of use to getting inside your vehicle it is obvious why no one uses their door locks anymore. But just like everything that is used everyday your remote for your vehicle can wear out, the buttons no longer work, the battery died or it breaks. After a few days of not being able to unlock your doors as you are walking up to your vehicle, pop you trunk when your hands are full or lock your doors from across the parking lot you will see just how dependent you are on your vehicle remote. When your remote stops working you have a few choices on how to get it fixed, you can go online and look for a replacement (just be warned vehicle remotes need to be programmed to your vehicle before they will work), take the remote to the dealership (and over pay), go without the remote and open your doors like everyone did “back in the day” or you can call your local locksmith and have them come right out to where you are and provide you with a new remote and program it to your vehicle. If you opt for replacing the remote yourself then you should check out this website, it gives you the instructions on how to program the remote but just remember vehicles are run on computers and it is usually best to leave this type of delicate work up to the professionals. Dealerships are not always the best option, most of the time they will not have the remote in stock meaning they will have to order it for you which usually can take a few days. Once they receive the remote they will need you to come back in with the vehicle so they can program it to your vehicle this can be quite a hassle and also very expensive. 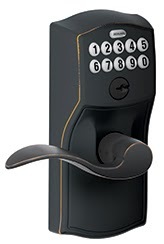 The best option available is to call your local locksmith, they always have a huge stock of various remotes and are able to come right out to your location and program the remote right there on site. The prices are very reasonable also usually ranging between $ 65- $ 135 depending on the type of vehicle you have. Since locksmiths are always available 24 hours a day 7 days a week you can get the ease of use of unlocking your vehicle in a few minutes. Not many people understand the importance of a quality residential locksmith service, when most people think of locksmiths they thing of being locked out and stranded in the middle of the night. And while our emergency locksmiths do handle quite a few emergency lockout situations it is only a tiny part of our business. Residential locksmiths are responsible for all service calls that involve a home or apartment, so if you are locked out of your home or lost your apartment key and cannot contact the landlord then a residential locksmith is your saving grace to get you back into your residence where you belong. Unlocking doors is not all a residential locksmith is responsible for, let’s say you have just moved into your home and everyone is telling you that you need to change your locks. Well a residential locksmith is who you are going to need, sure you can try to change the locks yourself but c’mon who has time for that when you are moving? Residential locksmiths perform this type of job all of the time and most local companies will provide you with a discount since you are a new home owner. Lock changes are not always necessary. You see there is a thing called rekeying, when you rekey a lock you simply take apart the tumbler inside the lock which it the part that the key goes into and reset the pins. To a regular Joe that sounds like a very complicated job but for a professional residential locksmith this is one of the easiest cheapest ways to provide their customers with a secure feeling that only they will be able to open their doors. 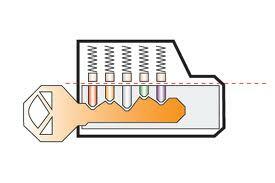 Here is a picture of the pins inside a lock and what rekeying does. A professional residential locksmith is also able to provide you with things other than locks, like security cameras, safes or intercom systems. A residential locksmith is basically a home security expert equipped with the training and certification to provide your entire home with the highest level of security your budget allows. Since residential locksmiths main focus is on the home they are well versed in the latest methods thieves are using to break in to homes and they are constantly devising new ways to defend against them. If you live in a area with a high break in rate call your local locksmith and request a free home security evaluation so you can determine just how safe you and your loved ones are. Lost Car Keys? Not Anymore! You will never have to wonder where you put the keys or which child last had the remote control last. A new anti theft location mechanism is hitting the market in early 2014 it is called the TILE, this little piece of magic hooks onto key chains, self adheres itself to just about anything from cell phones , laptops, remote controls, bikes and yes cars. It is considered the biggest lost and found in the world using your smart device to assist you in locating whatever it is that you have the tile attached to. Since it is still in beta it is only currently compatible with the iPhones and iPods but they are expecting to have full smart device capability soon. In short this little tile once registered with the app will show you exactly where whatever it is attached to is at within 150ft from your location, the benefit of having other people who also use this app is that if you are out of range yet there is someone else with the tile app near your lost item it will automatically update the location of your tile on your app so the more users the more coverage. Another great feature is this device also has a speaker built in so you are able to sound an alarm to assist with locating your device, so when the remote is stuck in the couch cushions instead of looking for it you are now able to just listen for it. The tile does not take batteries so you will never need to search around for the right size battery the tile holds a full charge for about a year and then you will need to replace it with a new one. At a reasonable price of around $20 it’s not a bad investment especially if you are like every other person on the planet who simply cannot remember where you put your cell phone or keys. As a locksmith company this type of technology does not threaten our way of life, we are always looking for new ways to assist our customers out. But remember the easiest way to replace lost or stolen keys is to call a locksmith but it never hurts to have a backup plan and the tile seems to be a perfect idea. The alarm feature is great for things lost inside the house and the location feature that shows when you are getting closer is perfect for those dark nights when you dropped your keys or cannot remember where you parked your car. Since the TILE will not be available until 2014 make sure to have your local locksmith’s number on file and ready to go in case you lose your keys, unfortunately we are unable to assist you with lost cell phones, remotes or vehicles. If you are going to order this device please let us know in the comment section below! Who doesn't like to save some money when they can? Our locksmith technicians are constantly looking for ways to help our customers save a few bucks; here are a few examples that you should consider when getting any locksmith service. First, get a spare before you need it! Remember hind sight is 20/20 and after you have lost your vehicle key you think back on all the times you should have gotten that spare your grand mom kept telling you to get. Unfortunately you are unable to go to the hardware store to get a copy of your vehicle key anymore but you can call your dealership or local locksmith to make a duplicate of your vehicle key so you can have a spare in case you ever loose or break your original. Getting a duplicate of your vehicle key can cost almost half of what it will cost to have a locksmith create a brand new vehicle key. So listen to your Grandmother and get the spare now! Another great way to save some extra cash is to look into getting your locks rekeyed instead of changed completely. Most locksmiths will not tell you about this money saving option because it is easier for them to change out the locks than to re key your existing locks. So what is re key you ask, simple let me explain. Inside of all locks are these little pins these pins are set at different levels that match up to your key and allow the lock to unlock. Here look at this picture. Our third tip for saving some of your hard earned cash is to do it yourself! Have a vehicle remote that needs to be programmed? Go online and search for how to program my remote you will be blown away with all the sites that offer step by step instructions on how to program it. This one is our favorite and yes we use it too. If you do not need to program a remote but are looking to change a few locks the internet will also provide you with some tips and how to videos that will show you how to change out the locks. Now remember it is always better to have the professional locksmith take care of your locksmithing needs but do not be afraid to try it yourself. Now there is one more thing you can do to help yourself save money when it comes to locksmithing expenses, MAINTIAN your locks. People are blown away with what a little WD-40 can do for a sticking lock, when you notice that it is becoming increasingly difficult to turn the key spray a little inside slide the key in and out and viola it’s like a brand new lock. The same goes for your vehicle key and remote it is always cheaper to get a replacement when you have the original so when the remote is not opening your doors every time you push on it, it is time to get a new one. Same with your key once you notice that you cannot turn your car on as easily as you used to be able to get a new key! These preemptive actions can save you a lot of money down the road, for more money saving tips contact your local locksmith company and ask the questions to the professionals! If you have ever lost your vehicle key you already know exactly how frustrating of a time it can be, not only are you now unable to get where you need to be but car key replacement is not the cheapest service anymore. Since the 1990’s most vehicles have come equipped with a higher security key known as a transponder key. This transponder key has a small computer chip embedded inside of it that communicates with your vehicle confirming that it is the correct key which allows the ignition to turn over so you can drive. Keys with this chip inside of them are much more expensive than people are used to in the old days you could simply go to your local hardware store pay a few dollars and obtain a copy of your vehicle key. Not anymore; now to get a copy of your key before you lose it you must either go to your dealership or have them order it for you or call your local locksmith company and have them create the duplicate key that matches your vehicle. Getting a copy of your key is much easier than getting total car key replacement, it is always wise to make sure you have a copy before you need it but sometimes that is not the way things work out. Car key replacement is much more involved now than it was even 20 years ago. 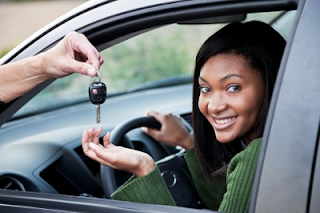 Since like previously stated vehicles come equipped with transponder keys, car key replacement now requires the skills of a trained professional. You are still able to go to the dealership but most of the time you are going to have to spend some extra money to get the vehicle towed over to the dealer so they can use the vin and ignition. If you would like to save a few extra bucks your best bet is to call your local locksmith company and have them come right out to your location to make your car key replacement right there on site. Now even though the locksmith option will save you money on the towing fees you must still understand that car key replacement is not a cheap service. 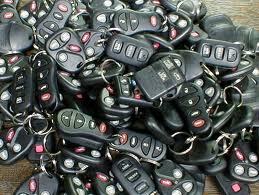 Most vehicle keys blank meaning no cuts in them or any programming cost the locksmith company anywhere from $60-$90. Now once the key is obtained making the proper cuts in it to fit into your ignition also cost money usually around $20-$40 dollars depending on the machine needed to do the cuts. You see some keys require the laser cutting machine which requires key codes that are bought from the manufacture to put the cuts in your key. If your car key replacement requires the laser machine chances are you will pay more than someone who does not require this high tech machine. Another cost is incurred when it comes to car key replacement that is the programming of the key to your vehicle again this will all vary on the maker of your vehicle ranging between $30-$90. So let’s break it down; we will go middle of the road for you to get a roundabout idea as to what it is going to cast you to get a car key replacement. $165 dollars is the average costs to get a car key replacement now remember this price can vary depending on the type of vehicle you own, it could be more or it could be less. By contacting your local locksmith and providing them with the year, make and model of your vehicle you can receive the exact price for your car key replacement.